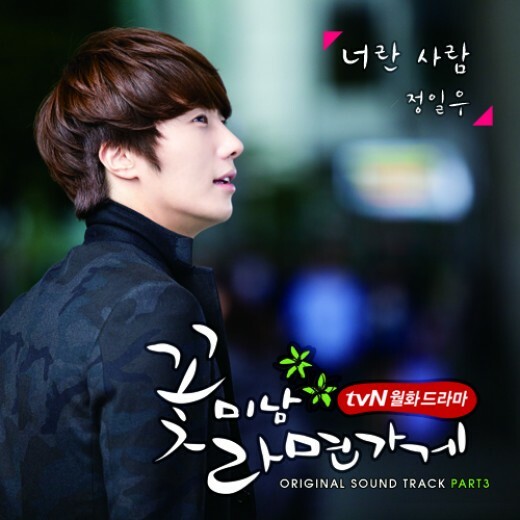 The second part of TvN Monday and Tuesday drama series Flower Boy Ramyun Shop (aka Cool Guys, Hot Ramen) OST (original soundtrack) is released on November 25, 2011. The song with the title of “A Person Like You” (너란 사람) was written with the contribution from the actor in leading role in the drama, who is also the singer of the ballad song, Jung Il Woo (정일우). The name of the song, “A Person Like You,” has also been translated to “Someone Like You.” The ballad describes the story of a man who waits at the same place alone after letting go lover. The song will be played on episode 9 of Flower Boys Ramen Shop broadcast on November 28, 2011. Listen to A Person Like You (너란 사람) at YouTube, or watch the A Person Like You (너란 사람) MV.